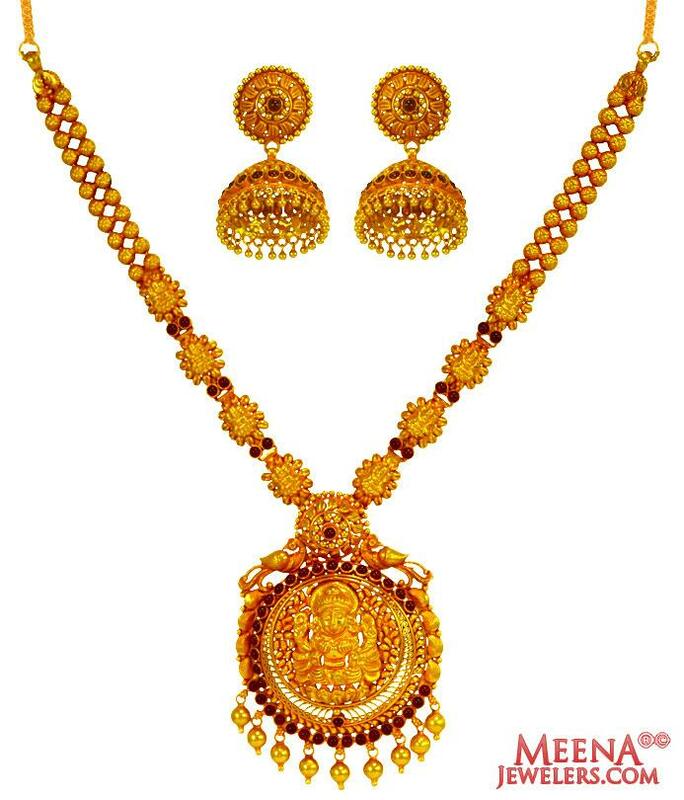 22 Kt Gold temple necklace set is handcrafted with embossed Laxmi Jee sitting on Lotus with studded colored stones. 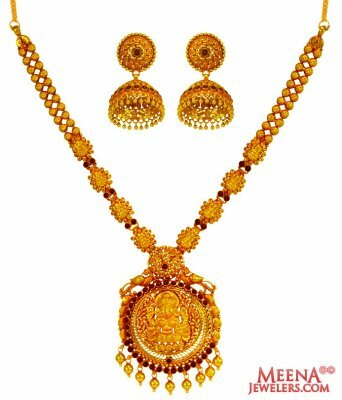 Hanging gold balls at the bottom of Pendant and Earrings enhances look of entire set. Entire set is designed in Gerua finish. Hanging pendant 60.00 mm long and 44.62 mm width. Patta is 17.5 inches long and 9.50 mm wide.